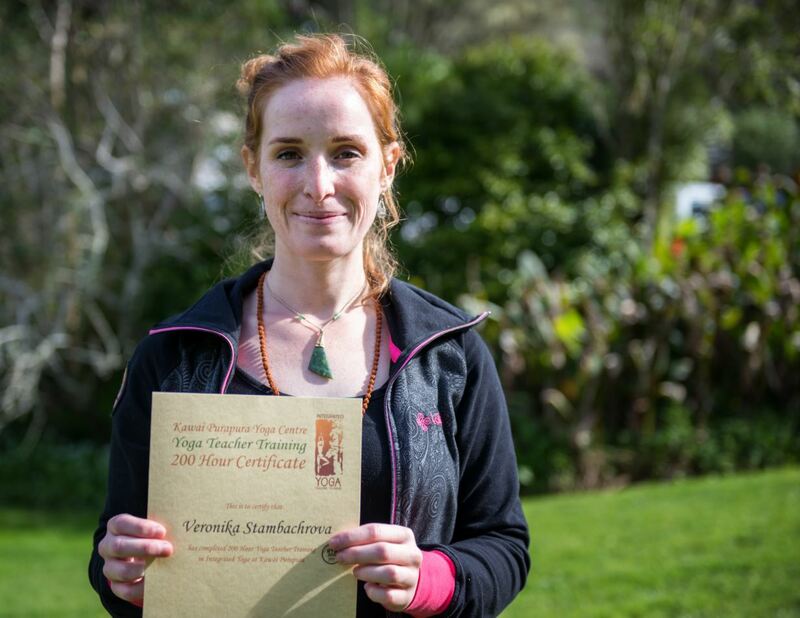 An interview with Veronika, our Yoga Teacher graduate! Home•Kawai Purapura, Yogic Lifestyle•An interview with Veronika, our Yoga Teacher graduate! As another of our Yoga Teacher Training courses comes to a close and a new group of graduates are ready to spread their teaching wings, we caught up with the lovely Veronika (27) to ask about her experience. Why did you chose this course over any others? Kawai Purapura has been a home to me since I arrived in New Zealand from the Czech Republic. It’s a place where I’ve met amazing people and learned some great life lessons and so it made complete sense for me to do my course somewhere I felt so comfortable. I love yoga. I wanted to do my course so I can integrate yoga practices into my future midwifery career. What have been the highlights of the course for you? So many things! There’s a great variety of styles covered, wonderful teachers and it’s an inspiring environment. Now you’re qualified, what’s next? I’d really like to start my antenatal and postnatal classes. To find out more about the Yoga Teacher Training course at Kawai Purapura visit www.yogatraining.nz.